When it comes to making a difference to someone’s life, the best one can do is to equip the stakeholders with an ability to take control of their own destiny. 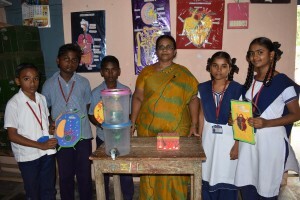 This is precisely what Janyaa through its Lab-in-a-Box (LIB) program does via implementing the concept of hands-on experiential learning for underprivileged kids in government schools in India. The exposure to Janyaa kit enables the students to think out of the box and innovate to come up with creative ideas and designs. 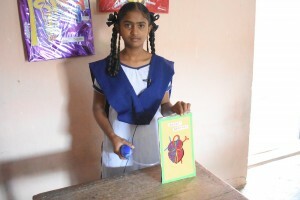 Prasanti and Bhuvaneswari, 9th grade students of Zphs Thulluru, aspiring to become teachers when they grow up, are 2 such students who developed models for explaining the function of heart and skin (as shown above) using simple low cost materials, and demonstrated the same in group sessions for other students. “Earlier, I had a stage fear and couldn’t talk to other students, but now I feel comfortable explaining the concepts related to my project to other students“, says Prasanti with a big smile on her face.